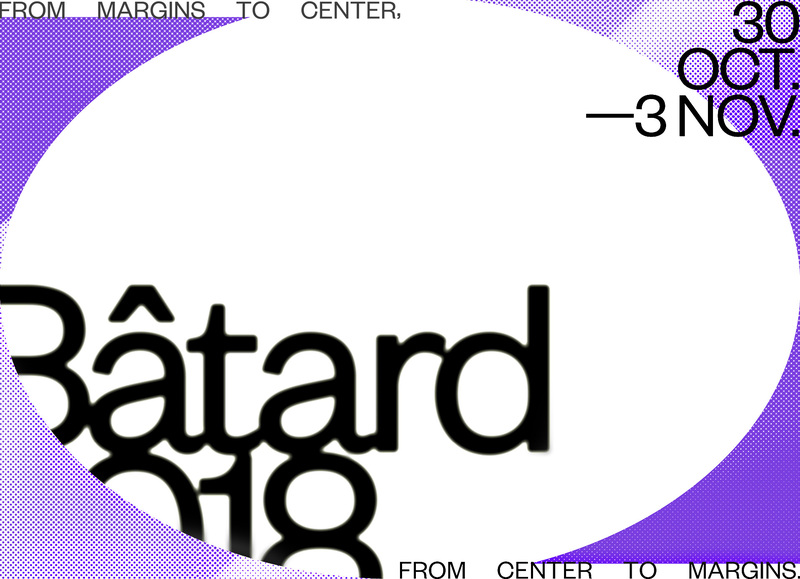 Bâtard Festival brings together a bewildering mix of theatre, dance, performance, film, plus a discursive program and a publication. It is a platform for non-established artists, thinkers, and writers. During this year’s edition, Bâtard culminates in a move out of the theatre and into the warehouse spaces of Decoratelier. Most artistic works will be presented at Beursschouwburg, yet on the last day of the festival we shift the architectural surrounding, opening up to the margin. Get involved with the programme and offer yourself DOUBLE BILL tickets (show at 19:00 & 20h30 or at 20h30 & 22:00). The exhibition by Maximova in the new space, the installation by Jeong in the white cube, the screening by Van Coillie in the blackbox and the entire Caveat programme are for FREE!